Look what just arrived from Barcelona! 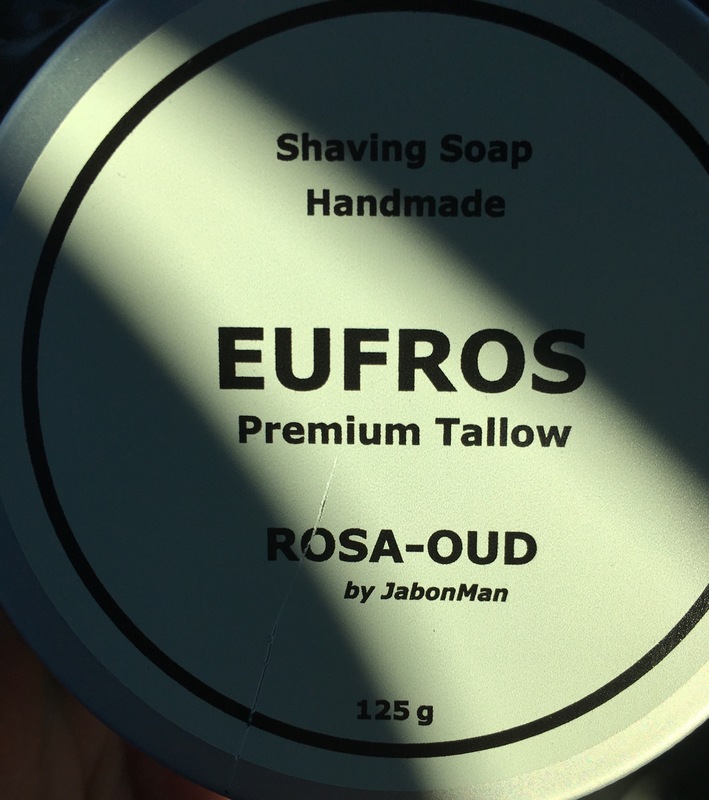 Rosa-oud and Dama De Noche are the two most beautiful fragrances I have ever breathed in, and the shave soap and balm performance of Eufros is top tier all the way! PS I thought I was going to use MDC all week!! Matt, I normally don't care for soaps with a dominant floral scent. The one exception is JabonMan's Rosa-Oud. It's an exceptional scent. (02-04-2019, 01:54 PM)TheLegalRazor Wrote: Matt, I normally don't care for soaps with a dominant floral scent. The one exception is JabonMan's Rosa-Oud. It's an exceptional scent. Yes my friend...exceptional in every way! The dama de noche brings back an exact fragrance that I remember fondly from when I was a kid! I can't decide if I like Rosa Oud or Rosa Bourbon better.. Both are very nice. Manuel also has a new vetiver soap and is really earthy smelling. I have enjoyed that one also, especially with the matching balm. Good option for these cold Midwestern winter days. (02-07-2019, 06:34 PM)boilerphan Wrote: I can't decide if I like Rosa Oud or Rosa Bourbon better.. Both are very nice. Yes, JabonMan's new vetiver is also a great scent. If you enjoy Vetiver I highly recommend Martin De Candre’s Vetiver. It is absolutely fantastic and top tier in every sense! Matt - I have both and do enjoy the MDC Vetiver also. It is very nutty to me and much "cleaner" than the Vetiver from JabonMan. Both are good - just vastly different interpretations of vetiver. You need to smell Rosa Bourbon. I might have to reach out to Mr Garcia and see if he has any or plans to make anymore! Excellent point! Is the Rosa Bourbon still in production? I was able to try a sample a few years ago and it was fantastic. Manuel lost his supplier for the Rosa Bourbon soap and did not plan on making more. Now, he has developed the Rosa Oud, I don't think those plans have changed. Last time I ordered a couple of months ago, he had some Rosa Bourbon balms still in stock. Yeahp...true! I just emailed yesterday and he lost the scent oils for that, the tobacco, and Hati vetiver. So I think he is continually searching, but has found any comparable EOs yet. I am just happy to have that Rosa Oud and dama de noche! Though if anyone has a new Rosa bourbon or tobacco that they want to sell, I would be interested!